Describes how rigid foam PVC sheet and clear acrylic sheet can give outstanding results with shapes conforming closely to that of the mould. 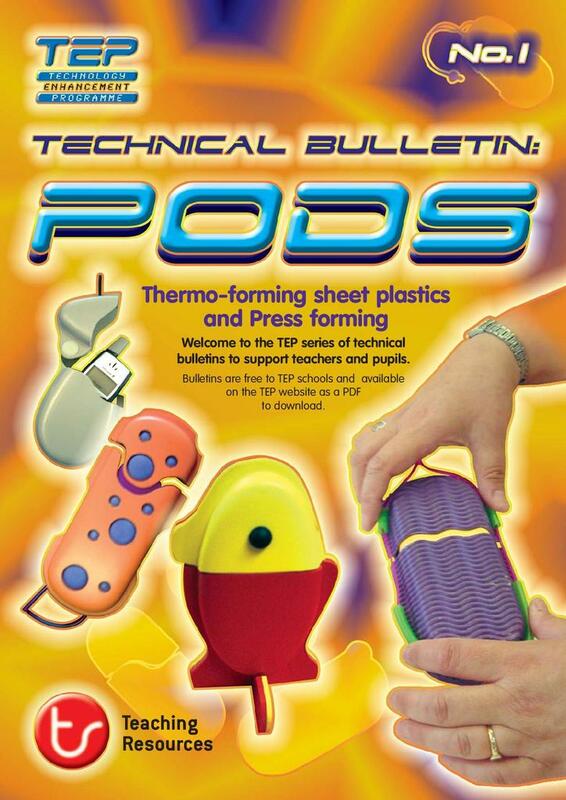 It gives examples of products that can be made in the workshop. Sections look at areas such as mould design, handling and health and safety. Shows how using pewter to demonstrate casting can be an alternative to sand-casting aluminium. 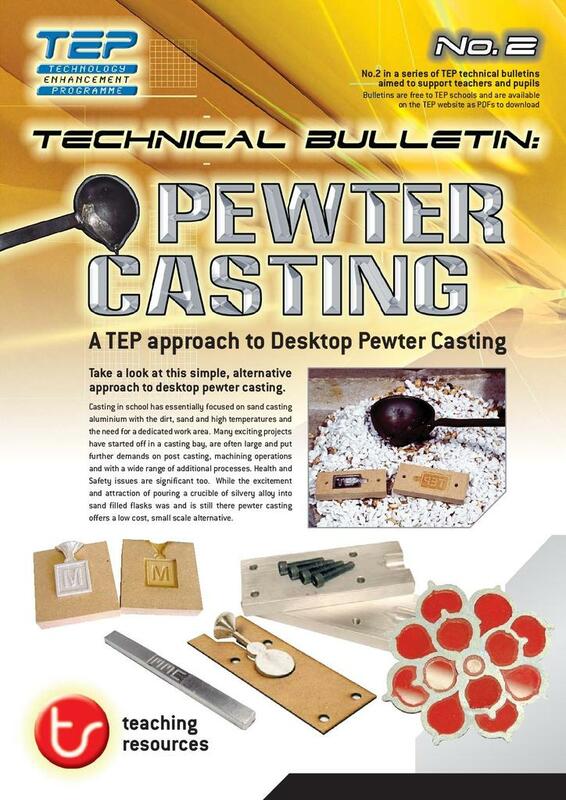 It describes how the TEP’s starter kit utilises a simple aluminium laminated mould and comes complete with a ladle and a small quantity of lead free pewter. The melting points and respective eutectic points are low enough to allow a small propane torch or high output heat gun such as a paint stripper to provide more than enough heat to melt and maintain a pool of molten pewter. As with aluminium casting there is no wastage as all unused (unmoulded) pewter is recycled and re-used. 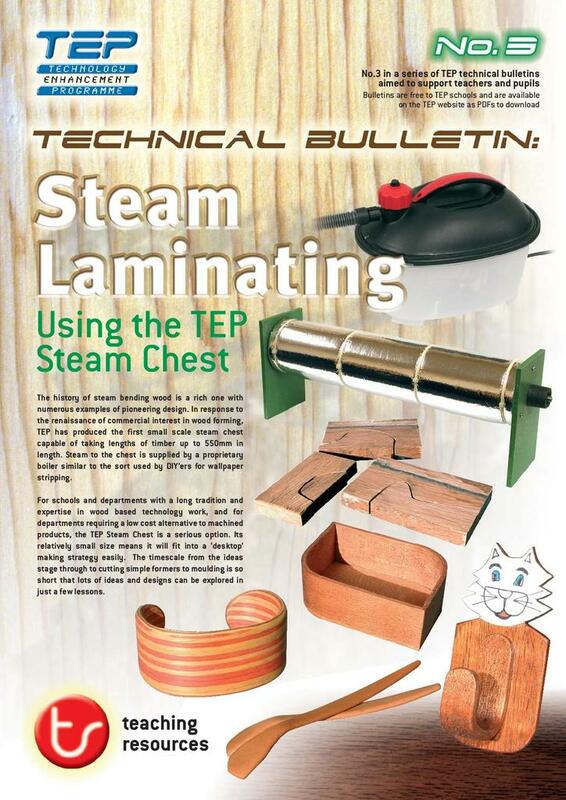 TEP has produced a small scale steam chest capable of taking lengths of timber up to 550mm. This allows students to investigate and practise forming laminated wood. The leaflet describes the use of the steam chest, bending laminates, using formers and moulds and gluing. This project engages students through the design and manufacture of an interesting, high quality and easily produced product. 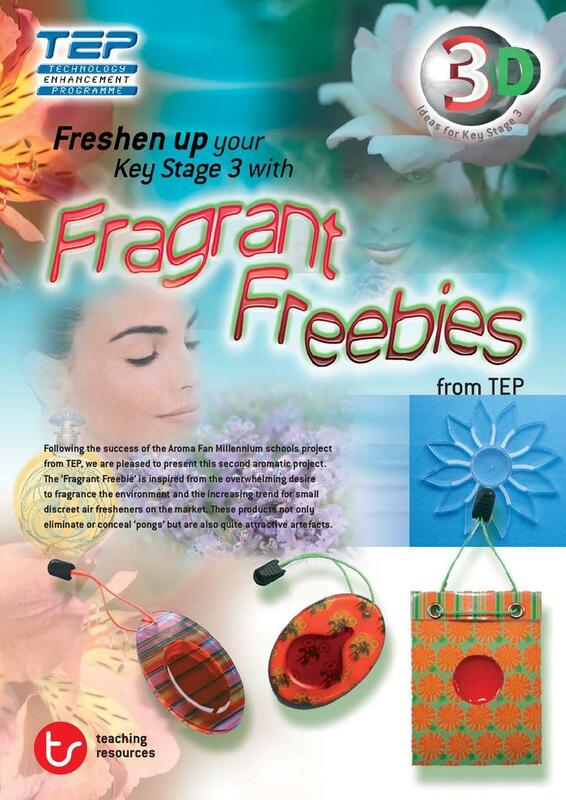 The focus is to use both CAD and CAM to develop a prototype air freshener that can be individually personalised for use in a range of contexts. This project works well at a number of levels with product analysis, research, modelling and prototyping easily undertaken with groups and individuals.